The symbolism really is everywhere when you start looking around. Overwhelmingly so and hidden in plain sight. We take it in and never think twice about what it means. Or, we used to. 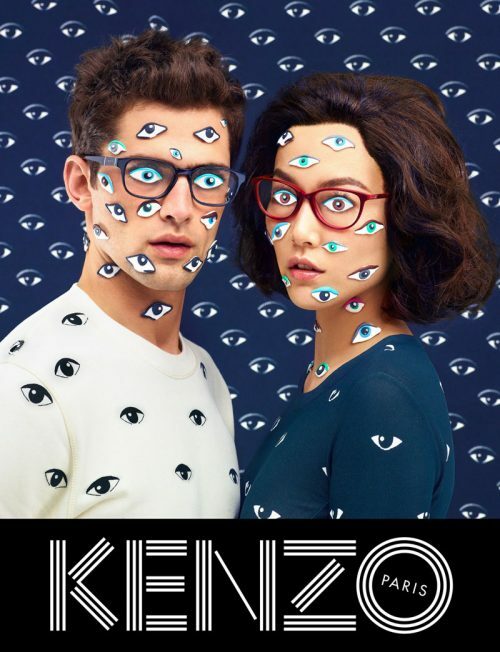 Directed by industry veteran Spike Jonze, the new KENZO World ad is loaded with Illuminati mind control symbolism and ends with a weird tribute to the All Seeing Eye. Are they selling a perfume … or celebrating the occult elite’s system? 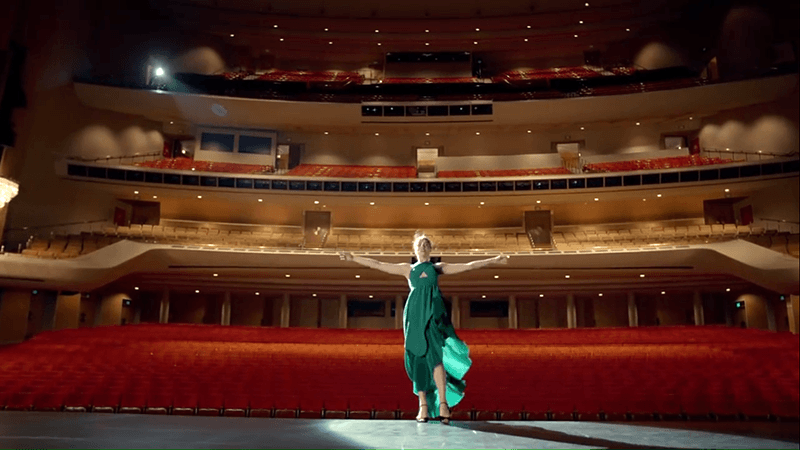 Ranking up millions of views in a couple of weeks, the Spike Jonze-directed KENZO ad quickly reached “viral” status and received widespread praise in mass media. Lauded for its “super cool” choreography, the ad features Margaret Qualley engaging into what appears to be a mix of dancing, having a seizure and being possessed by a demon – all at the same time. 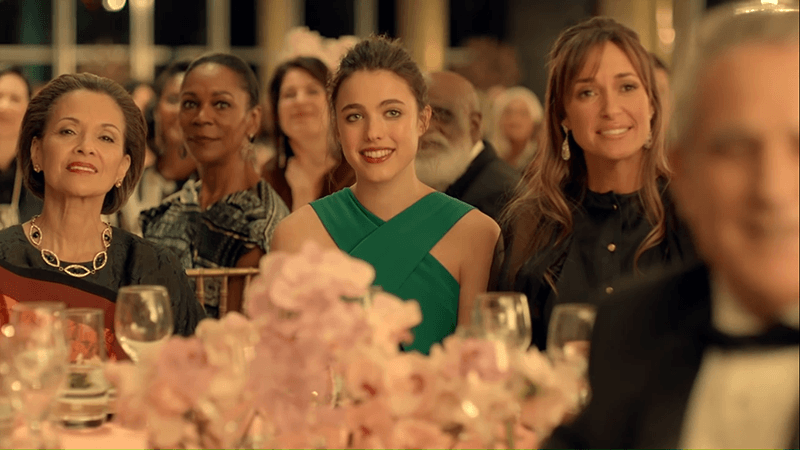 The four-minutes long ad ends with a scene that makes one say: “They’re really putting their Illuminati symbolism right in our faces, aren’t they?”. Yet most people still do not see it. This French brand has always had a strong penchant for using Monarch mind control symbolism in their advertising campaigns. Here are some examples. 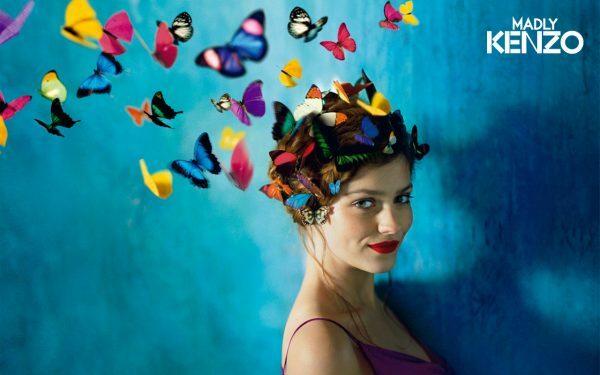 A head full of butterflies = Mind taken over by Monarch programming. Creepy hands as puppet master = MK handler. Hands pinning down MK slaves who are wearing All-Seeing Eyes all over. Going “through the looking glass” – an Alice in Wonderland reference used in MK programming to represent dissociation. Surrounded by eyes but can’t see anything = Being an MK slave. 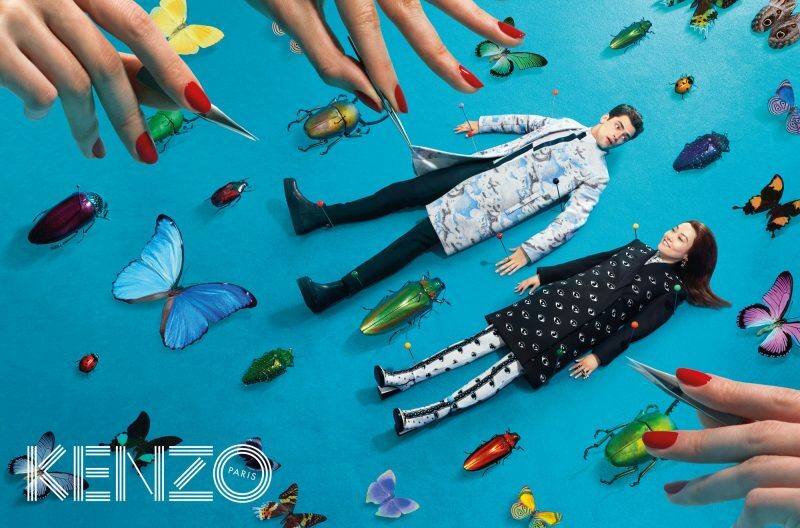 Considering Kenzo’s love for MK symbolism, is it surprising to see their viral loaded with it? Let’s look at the ad. left – a foreshadowing of what’s to come. Margaret feels the urge to leave the room. For a few seconds, Margaret looks sad. She even sheds a tear. Her facial expression then changes and Margaret starts “dancing” to loud music. Most of the choreography physically expresses being taken over by another force. Most might think that this ad is about a young girl who is bored and uncomfortable with her uptight surroundings. She therefore leaves, lets loose and allows herself to be herself for a while. There is however more to this. Is this girl really “being herself” or is she being taken over by something else (which is the exact opposite of “being herself”)? After the takeover, Margaret apparently loses her inhibitions and engages in things MK slaves are programmed to do. 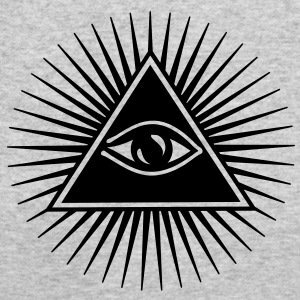 Margaret is wearing the symbol of the All-Seeing Eye inside a triangle, the favorite symbol of the occult elite. She is a slave. Margaret then walks up the stairs and sees a guy standing around, minding his own business. Margaret then flexes her muscles as if saying: “I just killed someone but its OK because I am strong confident woman and I am being myself right now”. Coincidentally enough, murdering people with great efficiency and without remorse is typical of Delta slaves (Killer programming). Margaret then starts shooting lasers with her fingers, destroying a bunch of stuff she does not own. Its OK because she is being herself right now. Coincidentally enough, using brain power as a weapon is typical of Theta slaves (psychic programming). Margaret then spazzes out for a while, clearly showing that she has no control over her body. The scene above is reminiscent of the movie Black Swan (read my article about it here) where a ballet dancer becomes “possessed” by an entity which makes her a great dancer but that ultimately kills her. Margaret then goes outside where she meets the symbol representing what is controlling her. is forcing her to praise the eye. She then lifts up in the air and goes through the eye. That eye has extreme power over her. So, this ad for a perfume features a woman being controlled by the occult elite and engaging into typical MK slaves activities. It ends with a near-religious tribute to a gigantic eye, yet most reactions to this video is “Wow, that was cool”. 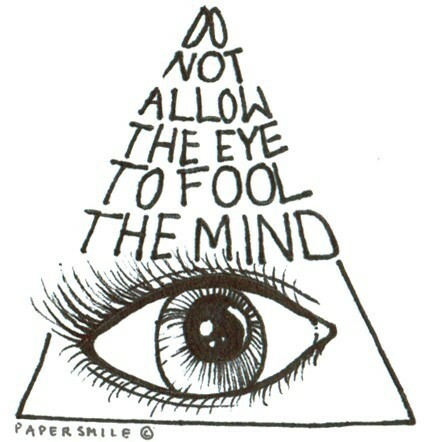 Not unlike the models seen above, the world is surrounded by the All-Seeing eye, but almost nobody is seeing it. Buy the symbol of the elite and spray it all over you.